Description: U.S. Congressional publication. Transmitted by John Tyler, President. Includes correspondence by John C. Calhoun, Secretary of State. 1 pp. Abstract: The U.S. 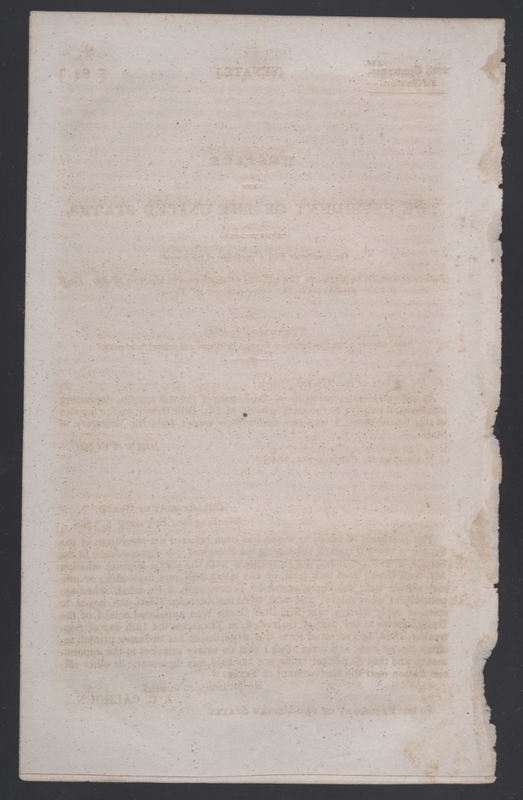 Serial set is a specially bound, consecutively numbered version of all House and Senate reports and documents. Many, but not all, of the government documents in the Americas archive come originally from the U.S. Serial set, although were bound together at some later point into the collection that is now represented in this collection. Green near the Government of Texas. 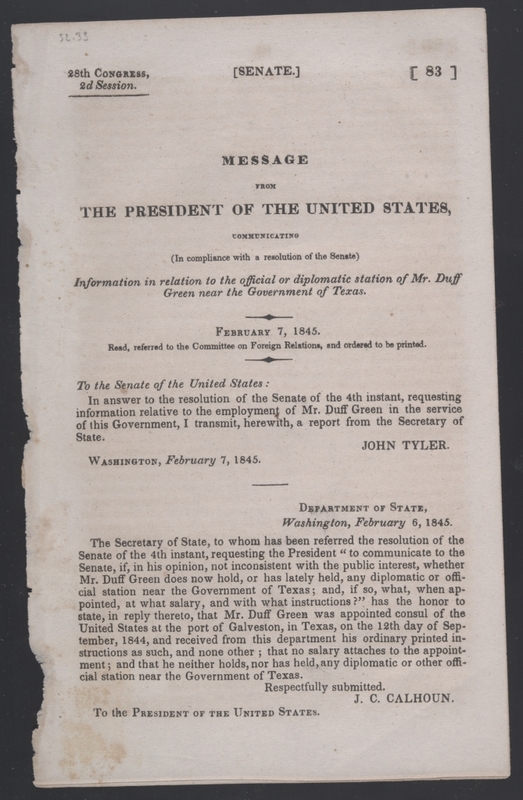 Read, referred to the Committee on Foreign Relations, and ordered to be printed. station near the Government of Texas.